SquarePegDem's Blog | A corruption crusher & thought-leader giving voice to unplugged opinions and perspectives. Just the thing! http://request.annhutton.comYou can’t miss it! NEW YORK, Sept. 20, 2017 /PRNewswire-USNewswire/ — The Columbus Citizens Foundation has partnered with over 39 other Italian-American organizations and announced today that they are reaching out to all NYC elected officials and 2017 electoral candidates for their stance on the preservation or removal of the Columbus Monument and Statue at Columbus Circle. 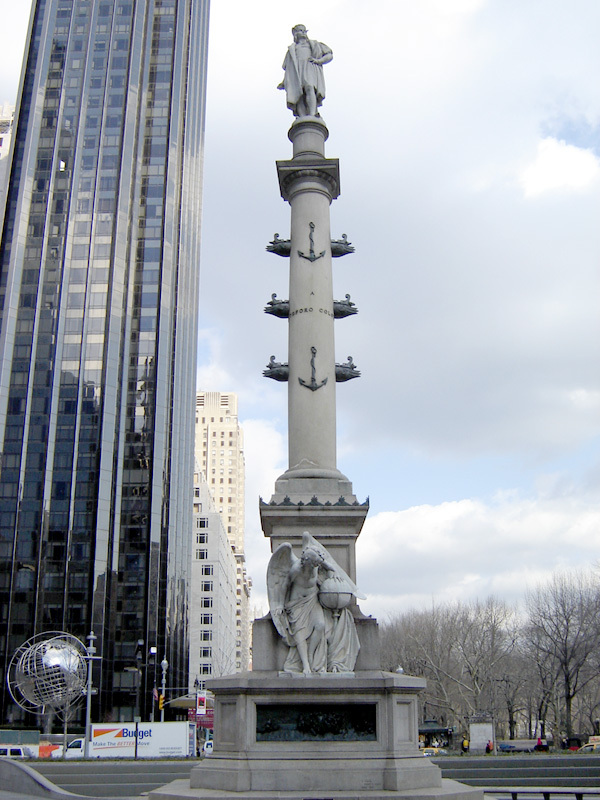 Board President of the Columbus Citizens Foundation, Angelo Vivolo, had this to say; "With no firm answer from our City’s Mayor on whether the monument to Columbus will stay or go, we are forced to reach out to all New York City elected officials and 2017 electoral candidates to demand their position on this important part of our Italian-American history. We have given politicians until September 28 to reply, and we will then make their opinions public knowledge to all New Yorkers." As evidenced by the signatories to this letter, the Italian American Community is unified in a commitment to preserve the Christopher Columbus Monument at Columbus Circle and all Columbus Statues in New York Parks. One hundred and twenty five years ago the Statue and Monument at Columbus Circle was paid for primarily from contributions from our community and has been an enduring symbol of pride for Italian Americans who suffered greatly from bias and discrimination. That pride is enduring and transcends any character flaws exhibited by a 15th century man who is being judged by the enlightened standards of today none of which negate a significant navigational achievement. We are polling all elected officials and those seeking public office as to their position on this important issue and we intend to keep the millions of Italian Americans residing in this state informed as to the result of our inquiry and make the community aware of who is supportive of the Italian American community and who will succumb to anti Italian sentiment. Please respond to this one question poll no later than September 28, 2017. A non-response will be considered a lack of support for the Italian American community and will be duly noted as such. Belmont Arthur Avenue Local Development Corp.
Columbia Association of US Customs and Affiliated Federal Agencies, Inc. This transmission is intended only for the use of the addressee and may contain information that is confidential, privileged and/or exempt from disclosure under applicable law. If you are not the intended recipient, you are hereby notified that any dissemination, distribution or copying of the information contained herein is strictly unauthorized and prohibited. If you have received this communication in error, please notify the sender immediately and delete this message. Thank you. Tuesday, September 26 — Simple amateur photography, even selfies, should the idea have occurred, became a possibility for the American public this month in 1888. 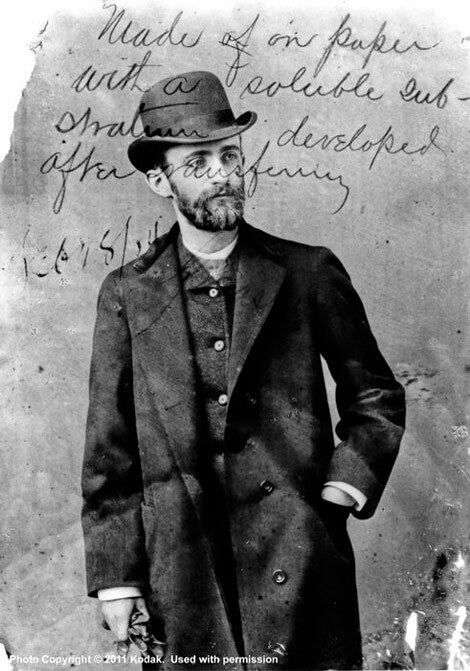 That’s when George Eastman patented the first camera to use dry, flexible, roll film. Eastman’s hand-held camera — the first to use the brand name Kodak — had enough film on a roll to take 100 exposures. When the roll was finished, the camera was returned to the factory for unloading, developing and reloading. Now, most cameras are digital, but photographic film and related products still have a market presence. Manufacturing such film, plates, paper and processing chemicals is a $5.7 billion a year business. New York Post’s Michael Benjamin joins Curtis Sliwa on ‘The Drive at Five’ (77 WABC Radio) re Mayor De Blasio and the ACS. New York Post’s Michael Benjamin joins Curtis to discuss the issues surrounding Mayor De Blasio and the ACS. He’s sorry all right — but mostly for himself. Disgraced ex-state Sen. John Sampson waffled on Wednesday about how he’s been “suffering” because of his corruption conviction, as a judge sentenced him to five years behind bars. The once-powerful Brooklyn Democrat took a moment in his mostly self-serving statement to “apologize for my actions” — but failed to say sorry to the constituents that elected him to the very office he abused. “I’m going to do something my lawyer told me not to do,” Sampson began in Brooklyn federal court. “But I’m going to put aside this prepared statement and speak from my heart. A jury found the 51-year-old guilty of obstruction of justice and lying to the FBI about illegally skimming more than $400,000 from foreclosure deals he worked on as a court-appointed referee. Embezzlement charges against him were dropped ahead of trial because the statute of limitations ran out. But that didn’t stop Irizarry from questioning that alleged conduct as part of her sentencing. “As I sat there reading the letters saying you paid for this medical procedure for someone, or put down money for someone else, I have to wonder if some of that money came from embezzled funds,” she said about the dozens of letters Sampson supporters wrote to the court in a bid for leniency. The judge also noted that Sampson — a now-disbarred attorney — was driven by greed, even though he and his wife earned hefty salaries. “What level of greed do you have to have to engage in this conduct?” she said. Prosecutors asked that Sampson be sentenced to just over seven years, noting that he skirted the law post-conviction by working as a lawyer work in an unrelated case. “Before he’s even sentenced, he appears in court [as an attorney], showing an incredible lack of awareness about what he’s done, and what it means,” said prosecutor Paul Tuchmann. But defense attorney Nick Akerman painted Sampson out as a victim. “The collateral consequences have been severe. He’s lost his office, he was disbarred, lost his entire livelihood, and suffered irreparable damage to his reputation,” Akerman said. Defense has vowed to appeal the conviction. Outside the courtroom, Brooklyn US Attorney Robert Capers, who sat in the front row for the sentencing, said, “He abused his position as a state senator, and he abused his position as a friend” for enlisting paralegal pal Sam Noel to send him confidential information. Sampson, who is free on bail, must self-surrender to begin his sentence by April 21. He also must pay a $75,000 fine. Noel, who cooperated with the government to help convict Sampson, was sentenced to probation last year. At least seven state lawmakers are eyeing City Council seats in 2017. Queens Democratic Assemblyman Francisco Moya is raising money to challenge Corona Democratic Councilwoman Julissa Ferreras in what could be a key race, political sources said. Ferreras is a leading candidate for speaker, but Moya’s potential challenge signals that the Queens Democratic Party has other ideas over who should succeed Melissa Mark-Viverito. Sen. Bill Perkins is running to replace Harlem Councilwoman Inez Dickens, and Bronx Assemblyman Mark Gjonaj is running to replace Councilman Jimmy Vacca. East Harlem Assemblyman Robert Rodriguez is preparing to run for Mark-Viverito’s seat, sources said. Queens Assemblyman Ron Kim is raising money to explore a citywide office such as public advocate or comptroller, a source close to Kim said. And Brooklyn Assemblyman Peter Abbate plans to run for the seat Bay Ridge Councilman Vincent Gentile is leaving, sources said. Bronx state Sen. Ruben Diaz Sr. is “95 percent of the way there” toward declaring to run for the seat left by Councilwoman Annabel Palma.